. We have outlined it before if you bear in mind. Flash has fast become quite trendy due to the feature that allows for interactive animations. Every flash design template is computer animated with unbelievable effects. 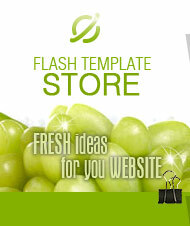 Flash template creation is really hard task. As soon as template's design is finished in Photo shop, our flash animators carry on the progression. They are producing incredible computer animation effects that are possible for professional people merely. Our users ask a question about text in other languages in flash. Do we need extra programming to customise flash template for other languages? Of course no. Don't need to be concerned with it. It is not important for the flash in what specific language you prefer to create articles your own unique text message. Just about every website visitor will be able to watch the unique textual content without any subsequent distortion, even for those people that have no certain language font applied on their laptop or computer. Flash design template bundle comes with: whole layout in PSD (Photoshop) format, fonts found in design template, genuine editable adobe flash file in fla format together with non-editable adobe flash file in .SWF format. 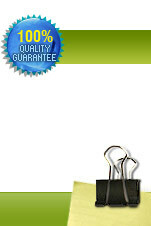 To start cropping and editing your flash website template right away, you will need as a minimum initial working experience of Flash technique and Adobe Flash computer software Adobe Flash CS5.5 (v11.5) or ultimate release.You'll be able to download and install demo edition from Adobe web page here.